The Public Records User Login page has recently undergone several modifications. 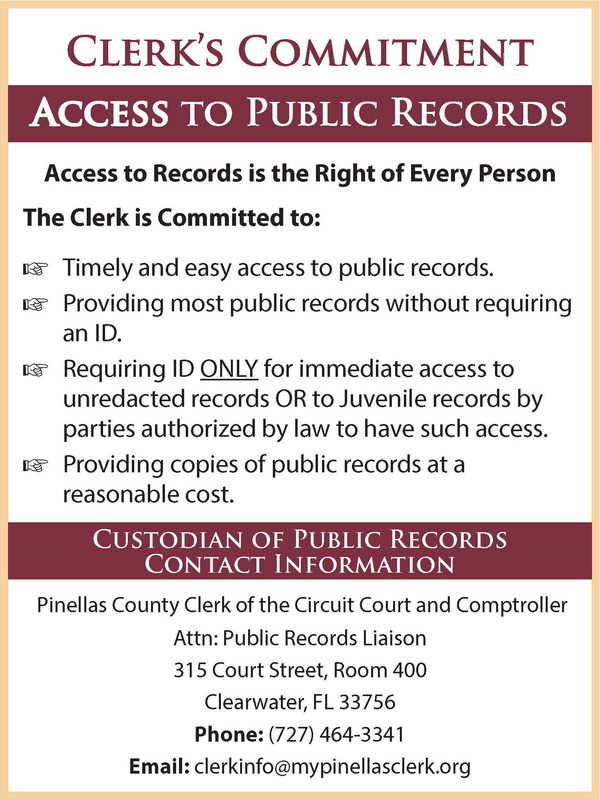 If you require support with a Court Records View account, please contact publicview@mypinellasclerk.org . If you require support for an Official Records Subscriber Account, please contact Recording Services at recording@mypinellasclerk.org or call 727-464-3223. The Pinellas County Public Records website was established to provide access to the public records. The rights to view this information are in compliance with Florida statutes. Please review our Privacy Statement and Disclaimer for more information.